In this article, we will take a look at the challenges associated with Guest Blogging and how you can overcome these challenges to become the Ultimate Guest Blogger. 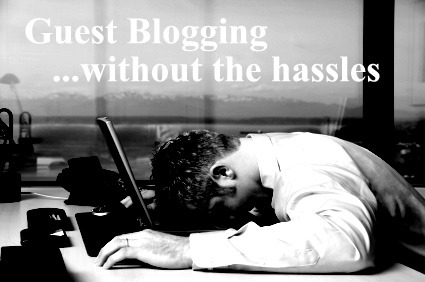 When we look at the reasons for Guest Blogging, they are inherently selfish. After all, you are submitting guest posts with the end goal of elevating your site in the search engines and, in doing so, gaining a whole lot more traffic to your site. This is true. While many forms of site promotion have been de-valued with the release of Google’s Panda algorithm, Guest posting has risen in value. Writing guest posts is seen as a natural way for site promotion. Google search results love natural links. In the past, these links were easily achieved through article directories. You could write an article on a topic and get a free link, usually within the resource box, with the keyword(s) of your choosing. In the past, this worked because Google loved article directories. But this is not the case anymore. Google now abhors article directories and, because of this, article directories have made the publishing process an incredible hassle. For more on this topic, you may enjoy the article Article Marketing: What Happened and What To Do? So, many people have turned to Guest Posting as the new article marketing. However, if it is difficult now to publish articles on sites like ezinearticle.com, it is even more difficult to guest blog. The reasons for this are many. The first step in guest blogging is to find a site that might publish your guest post. We say this because there is an equal chance that your well-written article will get denied. Your goal is to find a site with a similar theme as your article because an inbound link from a similarly themed site has more weight. This one first step can take a lot of time. Then, once this site is found, you have to submit your article idea and wait for approval. Following that, there are often regulations regarding the links back to your site and the anchor text that you are allowed to use. The whole process to publish a guest blog may take over one month. You must think, as we did, really? One month of work to generate an inbound link. What is going on? This is not worth my time. And, you are right. This is exactly what we thought and why we created Ultimate Guest Blogger in the first place. 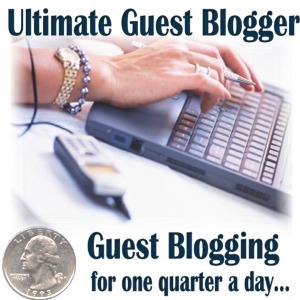 At Ultimate Guest Blogger, we have setup hundreds of blogs that you can publish on immediately. Your articles are all auto-approved and you are permitted three, do-follow outbound links with the anchor text of your choosing. And, your inbound links will come from many different locations giving you a vast inbound link portfolio. It’s guest blogging without all of the hassles of guest blogging and it is the best way to get your keywords ranking naturally in the search engines. Guest Blogging & PageRank: Getting Inbound Links From Important Blogs! Building Quality Inbound Links: Are You Wasting Your Time With Bad Practices?